An interesting thing has been happening as I’ve work with clients the last couple months. It’s more than a trend; I think it’s a cry from hearts that are ready to be healed. Over and over, I’m speaking to clients about kindness. Not kindness towards the earth; not kindness towards others…we’re speaking about kindness towards themselves. I became acutely aware of this need for kindness towards myselfwhen I did a dream analysis with another coach. I’d had a dream that disturbed me deeply in which I hit a woman with my car. I wanted to deconstruct it because I was sure there was a message in there for me. During the dream analysis, I received powerful messages from my subconscious about my journey on this earth, how I am here to serve, and how I’ve been denying my essential self. One of the most powerful messages that came through was that I was showing up in the world as a “woman in a manhole” (that was a specific part of the dream). When I realized this translated to me trying to be a square peg fitting in a round hole, I gasped out loud and began to cry. I felt like spirit was gently guiding me to embrace my woman-ness fully with love and compassion. To stop being so hard on myself. To stop pushing and striving and trying. It was the sweetest message and one that still feels inadequate when I try to put it to words. I hope you will forgive my fumbling as I try to share this story. Since that dream, though, my client conversations have taken a radical turn. Now, they are beginning to focus deeply on self-care (and not the shallow kind, but the kind that nourishes and fills up a Soul with tender, loving care). We are exploring the “I’m not enough/I’m too much” lessons of childhood. And we are working to tenderly heal and allow all of us to show up in the world. It’s magical work. Important work. Life- and business-changing work. It isn’t always easy, but the sweet tenderness that comes as soon as we say YES to our whole being…that is worth all the work, all the tears, all the frustration, and all the longing. It. is. SO. worth. it. Gentle reader, if this touches your heart – or scares the beejeezus out of you – it might your time to begin exploring all the parts of who you are, including the parts that you’ve pushed aside (because of tribe, training, or timing). Is it your time to practice radical self-kindess? I’d be honored to go on a healing Wayfinding journey with you. P.S. May I ask you to share this post with one or two women? Women who might be trying to fit themselves into a “man-shaped hole?” They long for ease, tenderness, compassion, and kindness, but feel like they can’t have them because of how the world is or how they’ve been taught to show up in it. My wish and desire is to help these women heal through radical self-kindess practices. And I’ll say: this goes the other way for men, too. Men who desire to live a softer life. Who only feel the softening of their hearts when they are with partners or children. Men who have been taught that softness is weakness and vulnerability is dangerous. It doesn’t have to be that way, especially when we learn to show up from the inside out – powerfully grounded, balanced, and in integrity with our whole selves. I’d love for you to share this email with someone who might be longing to hear this message. Simply hit “FORWARD” and send a copy their way. 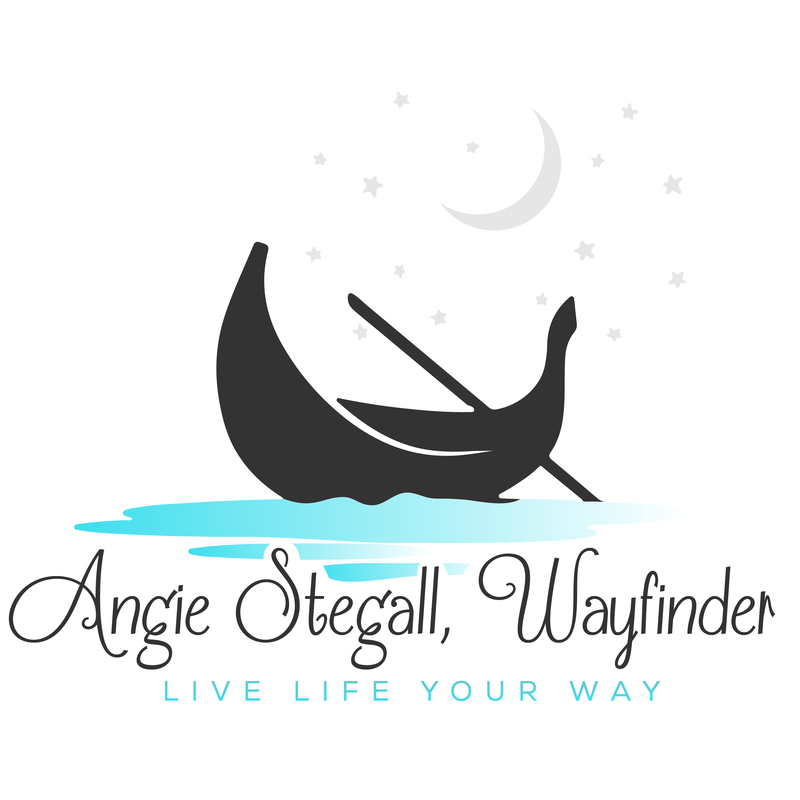 Angie – I recently applied to be a TEDx speaker and spent a lot of time fine-tuning my concept to communicate an IDEA (as opposed to a story). I feel like your post here has the seed of a powerful IDEA that needs to be shared with the world – have you ever applied to be on the TED stage? Hey, Adrienne! I haven’t applied to do a TED Talk because of all of our travels. It’s a good IDEA, though!